PRACHUAP KHIRI KHAN, 13th March 2019 (NNT) – A grand feast was arranged for six elephants of 80 to 95 years old at Hutsadin Elephant Foundation in Hua Hin district, Prachuap Khiri Khan province, on Tuesday. The feast was organized by Hutsadin Elephant Foundation to celebrate the National Elephant Day on March 13th of every year. The event was attended by the chairman of the foundation, Wanit Henwongprasert, the first mahout of England, Tony Kelly, aged 93, volunteers, local people, and foreign tourists. The feast featured a giant fruit cake consisting of 10 kilograms of bananas, pineapples, apples, corns, and watermelons. 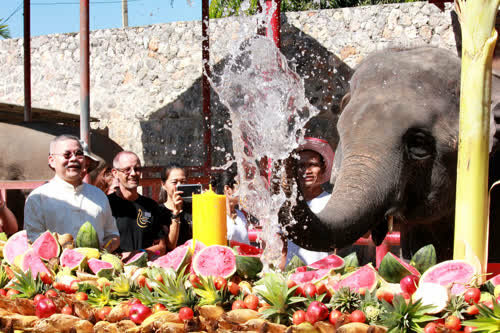 A large number of tourists fed the elephants with fruits and took photos of them. 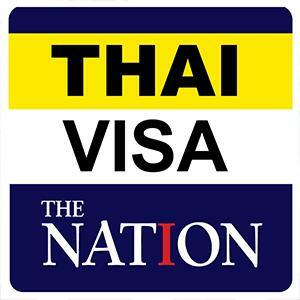 Mr. Wanit said the event helped promote Thailand’s tourism and Hua Hin, while reminding everyone that Thai elephants are a symbolic animal of Thailand.